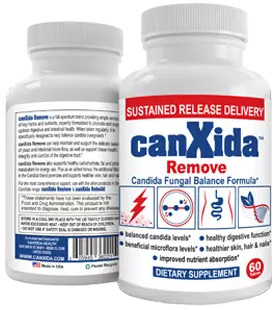 Everything You Need To Know About Candida Auris - YeastInfection.Org by Eric Bakker N.D.
Candida auris (or C. auris) is a yeast belonging to Candida family that was discovered relatively recently. In 2009, Satoh and colleagues from Japan found this yeast from the ear discharge of a 70-year-old Japanese woman. Auris is Latin for ear – this yeast was thus named Candida auris. Although its name links the organism with ear infections, it can also cause other infections. Kumar and colleagues from India published a case-report in 2015, where they found C. auris to be the cause of vulvovaginitis. C. auris can enter wounds and bloodstream and cause very serious infections in some hospitalized patients by spreading throughout the body. Per CDC, C. auris has also been found in respiratory and urine samples, but whether it causes infection in the lung or bladder is not clear yet CDC also reports that 60% of the patients with C. auris infections have died – this is based on information from a limited number of patients. In an interview with Washington post, CDC’s top fungal expert Tom Chiller said that the problem of this infection is compounded by the fact that C. auris is potentially resistant to “one or two, if not all three” main classes of antifungal drugs. It is therefore potentially very difficult to treat – C. auris is the new superbug! After Japan, infections with C. auris were reported between 2011 and 2016 from many other countries like Colombia, India, Israel, Kenya, Kuwait, Pakistan, South Africa, South Korea, Venezuela, and the UK. Between 2013 and 2016, seven cases of C. auris infection in the USA were reported to CDC. Most of these patients were infected with C. auris that was resistant to some drugs but luckily not to all the three classes of antifungal drugs. In September 2016, Schelenz and colleagues reported the first hospital outbreak of C. auris in a London cardio-thoracic center – 50 cases of this infection were reported at this hospital. In June 2016, CDC issued a clinical alert about how C. auris is an emerging global threat to the health of susceptible, hospitalized patients and requested laboratories to report C. auris cases. In the alert, CDC mentioned that because identification of this pathogen required specialized laboratory methods, it is possible that the infection occurred in other countries as well but was not identified or reported. According to a 2015 report by Kathuria and colleagues from India, commercial identification systems may wrongly identify 90% C. auris as C. hemulonii which is a different but related organism. Wrong identification leads to wrong treatment. Delay in proper treatment can lead to increased risk of death as has been reported by Morales-Lopez and colleagues from Colombia in a report published in 2017. It seems possible that C. auris infection has existed prior to its first identification in Japan but could not be distinguished as a different infection. However, a 2016 study carried out in India by Sharma and colleagues speculates that this organism has possibly only emerged recently, as the C. auris found in four different hospitals were closely related – meaning that it has not had enough time to evolve. Lockhart and colleagues collaborating across different affected countries around the world confirmed that C. auris has emerged only after 2009 – they checked with an ongoing international antifungal surveillance program called SENTRY (JMI Laboratories) which contains 15271 samples of candida isolated globally since 2004 from invasive candida infections. All 15271 samples were tested for Candida auris using reliable diagnostic methods. Only 4 samples were found to be C. auris, and even these samples were only from years 2009, 2013, 2014 and 2015 respectively. A 2016 report by Lockhart and other experts from around the world showed that there has been simultaneous, and recent, independent emergence of multidrug-resistant Candida auris on three continents of Asia, Africa, and America. As far as it is known now, Candida auris infections are nosocomial – meaning that they are acquired in hospital settings. This organism can be present on surfaces or equipment in a hospital and may be transmitted to the patients who come in contact with these. It can also be present on the hands of people and can be transmitted from person to person. The exact way the organism is transmitted is not yet clear. However, all the patients infected with C. auris to date have had some serious underlying condition that reduced their immunity and increased their susceptibility to this infection. For example, the international collaboration by Lockhart and colleagues (2017) that studied this infection in 54 patients from various locations, found that 41% had diabetes mellitus, 51% recently had surgery, 78% had a central venous catheter, and 41% were getting systemic antifungal therapy at the time C. auris was isolated. Because of drug resistance of C. auris, the infection is difficult to treat. In a recent review article, Chowdhary, Voss and Meis from India and Netherlands suggest that indiscriminate use of antifungal drugs could be the reason C. auris has emerged as a successful Multiple Drug Resistant pathogen. People with good immune system may carry C. auris but, in this case, they will not show any signs and symptoms of C. auris infection. C. auris only becomes pathogenic (disease causing) in people with a poor or compromised immune system, and such people will then show signs and symptoms of this infection. It is important to note that studies on risk factors and transmission of this organism are currently ongoing and thus this list may not yet be complete. For diagnosis of infection with C. auris, samples are taken from blood or other body fluids of patients to perform fungal culture and tests. However, as mentioned earlier, it is not very straightforward to diagnose an infection by Candida auris. Normal biochemical tests that can detect and differentiate between other candida infections cannot do so with C. auris. Specialized tests are therefore needed for its detection. CDC recommends specialized diagnostic devices to be used by laboratories. These devices are called Matrix-assisted laser desorption/ionization-time of flight (MALDI-TOF) devices. However, a 2016 study by Kim and colleagues from South Korea showed clearly that C. auris was misdiagnosed by automated microbiology system (BD Phoenix) and two MALDI-TOF instruments (Vitek MS and Bruker Biotyper). CDC also warns that not all such devices can detect C. auris as they do not include C. auris in the reference database. Wattal and colleagues from India mentioned in their December 2016 article that, like they did, upgrading the reference databases to include local strains of C. auris for these devices is required. A more reliable method for diagnosis of C. auris is a special Molecular method that performs DNA sequencing of a specific region of DNA (28s rDNA). This region is different between different candida species and therefore an accurate diagnosis can be made. However, this is an advanced technique and not all diagnostic labs are equipped for it. If laboratories are not able to perform these tests due to lack of technology, they can send the specimens to CDC for further diagnosis. After detection of C. auris, tests are done to find which antibiotic will work against the specific C. auris from the patient. These tests are done using specialized tests like CLSI broth microdilution (CLSI-BMD), Vitek 2 antifungal susceptibility test, and the Etest method. These methods were, for example, also used by Kathuria and colleagues from India in their 2015 study. C. auris is potentially resistant to one or two, if not all three main classes of antifungal drugs – Azoles, Amphotericin B and Echinocandins. Fluconazole is the first-line antifungal treatment, but most of C. auris strains seem to be resistant to it. Different strains seem to have different susceptibility to other antifungals. As per CDC, Echinocandins are the only class of drug that most of the C. auris strain can still be treated with. If the organism is resistant to all three kinds of antifungals, the infection becomes more difficult to treat and a high dose mix of the different classes of drugs may be needed to fight it. Apart from sensitivity to the antifungal agent, the treatment depends on the location of infection (whether it is wound, ear, or invasive infection), the immune status of the patient and the risk factors for that patient. Prevention of infection is primarily a case for the hospitals. It is important that any infection by C. auris is quickly recognized, accurately diagnosed, and treated. They also need to make sure that the medical devices, hospital surfaces, and staff do not carry this organism around. CDC, PHE (Public Health England), ECDC (European Centre for Disease Prevention and Control), NICD (National Institute for Communicable Diseases, South Africa), PAHO/WHO (Pan American Health Organization/World Health Organization) have issued statements for hospitals regarding prevention measures against the spread of C. auris. However, it is not only the responsibility of the hospitals to contribute to prevention of spread of this new threat. As patients, caretakers, or visitors to hospitals, we need to do our bit and make sure that we know about and maintain proper hygiene and cleanliness. A small action like taking a shower before going to the hospital to visit a patient, being strict about washing the hands properly when reaching the hospital, staying away from things that are microbe bombs – like phones, tablets, cash money – or washing hands immediately after touching these may prevent infection with C. auris in hospitalized patients. Both lungs show many white areas that my Dr. referred to as infiltrates. My lungs show many white spots. O Have difficulty swallowing but just had a plate placed b/c of ACDF in June. Also have frequent ear pain and frequent dry cough. No fevers. Very frequent dizziness. In 2016 I was hospitalized for a TIA. I read a post regarding this in the Brick Post and decided to reach out and send a comment before I chalk it all up to coincidence.